Overview: With ClevelandÕs regeneration has come an influx of artists and urban professionals looking for local art pieces. The number of galleries and art museums throughout Cleveland has expanded in recent years, giving reason to highlight the importance of this creative community. 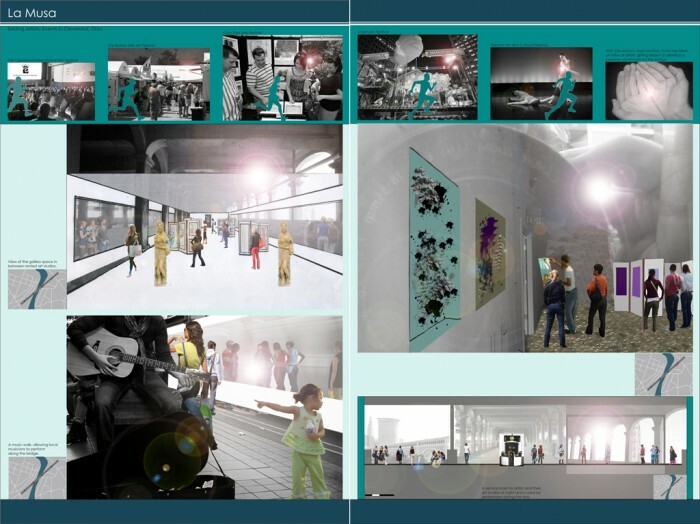 The project, known as La Musa (coming from a Latin word meaning, ÒThe MuseÓ) proposes a network of art studio and gallery spaces along the existing Detroit Superior Bridge. 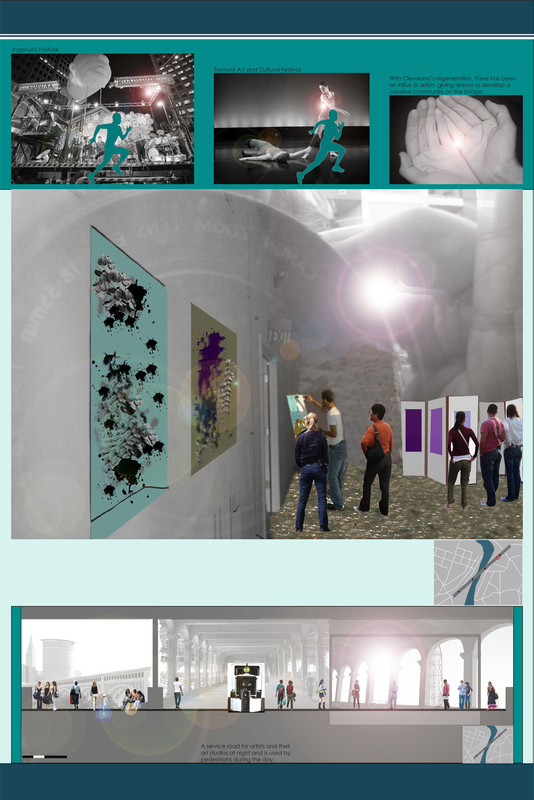 These spaces will be open for local artists to rent so they will have the opportunity to sell their artwork. 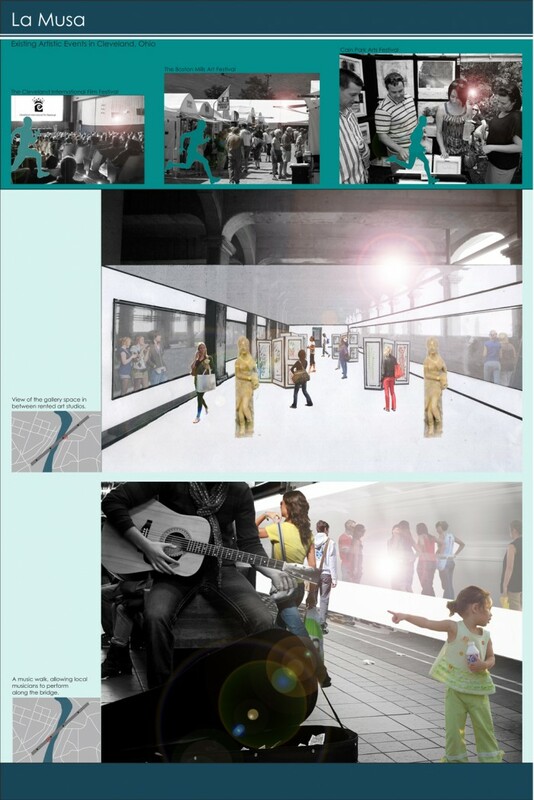 Temporary events will be held along the bridge, such as a music walk, allowing local musicians to perform while pedestrians meander in and out of shops and studios. By converting this bridge into an innovative outlet, it will support local artists and educate people of the city on the importance of embracing creativity.